You’d think that in 2015, no company would post a job ad and make it clear that only men need apply. But a number of companies, especially in the tech industry, are unintentionally doing just that, by using words or phrases in their job postings that a growing body of research shows are a major turnoff to female job seekers. 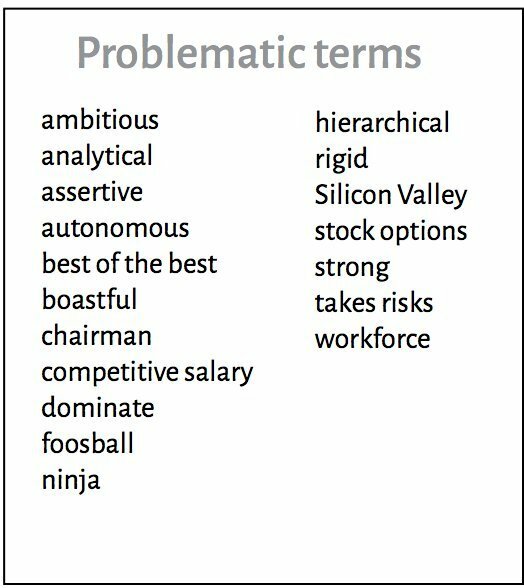 Some of the words are obviously skewed toward male stereotypes, like when tech companies seek out “ninjas.” Other problematic phrases seem like standard job listing jargon -- like “competitive salary” or “best of the best." 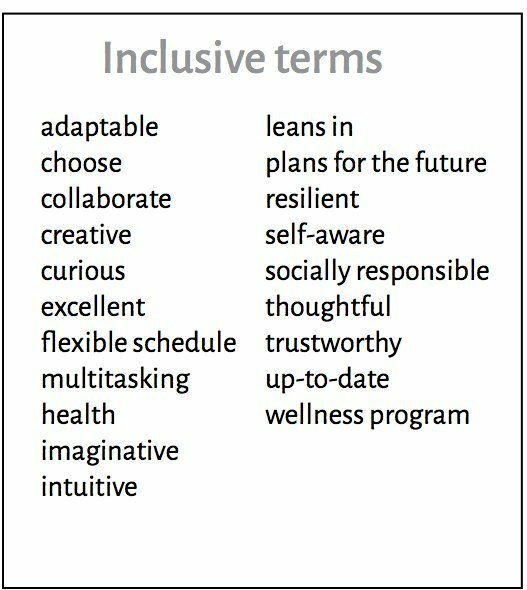 A sampling of some of the terms in job listings that researchers have found may turn women off, courtesy of the startup Unitive. “People have no idea. Even someone who desperately wants to attract more women may be doing this,” Aaron Kay, a psychologist at Duke University who’s studied unconscious bias in job listings, told The Huffington Post. Battling unconscious bias -- deep-rooted preferences that we may be totally unaware of -- has become a hot new frontier for companies trying to hire a more diverse roster of employees. Many now offer bias training, including Microsoft and Google. Yet few companies are looking closely at the biases that may manifest themselves in the hiring process -- starting with the job listing, which is the first way an employer gets to show off its culture to prospective candidates. Sometimes, an employer may send unintended messages in its listings. A job listing might promise a work environment where “we work hard and play hard,” for example -- and not realize this suggests bias against those who may think “playing hard” simply means going out for drinks all the time or being a 20-something. Laura Mather, the chief executive of Unitive, a new startup that makes bias-check software for employers, said women and minorities might unconsciously see the term “the best of the best” as a signal that a company is looking for white males. “Competitive salary” might be problematic because women -- who are less likely to negotiate -- may take it as a signal that they'll have to haggle over their pay. 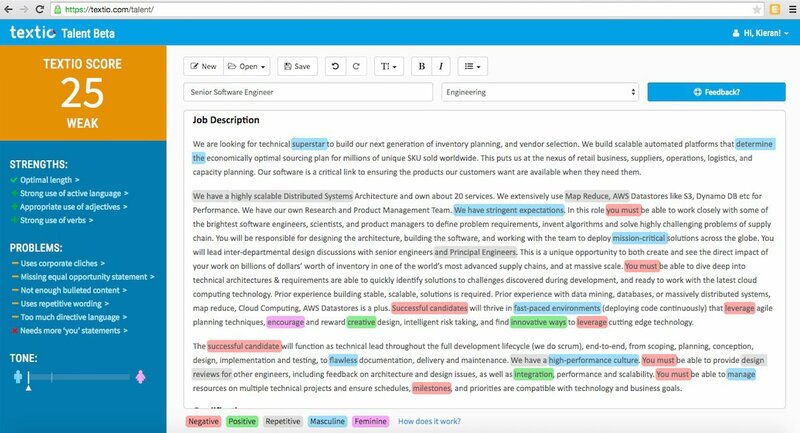 Unitive, along with Textio, another newly launched startup, offers employers software that methodically screens job listings for potentially biased phrases. Both companies rely on decades-old research that has identified words associated with gender stereotypes, and cross-check those words against job listings. Unitive and Textio are also constantly looking for new words and phrases, and updating their software in real-time to include them. 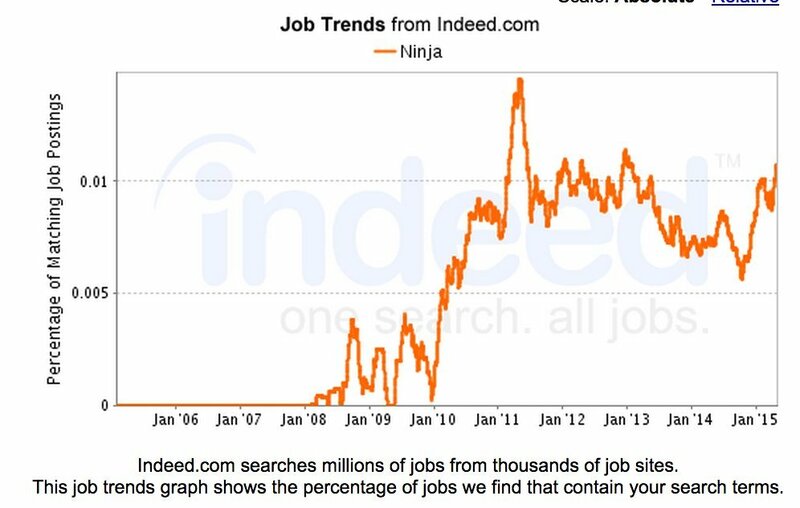 A quick search on the jobs site Indeed.com on Tuesday found more than 800 jobs listings that included the word "ninja." The word is meant to signal that a company is looking for an aggressive candidate who's an expert in his or her field. But to most of us, a “ninja” is a dude, or, more notoriously, a “bro.” Indeed, going back to its origins, the traditional Japanese ninja was a man. The hunt for ninjas exploded with the recent tech boom, though popularity has dipped a bit since its 2011 peak. 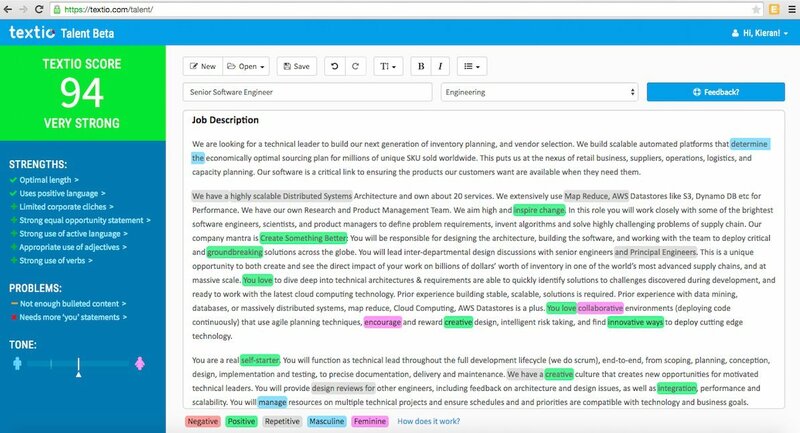 Textio is less than two years old and the software is still in beta mode, so anyone can sign up and try running it on a job listing. Co-founder Kieran Snyder told HuffPost that people are using it for even more than that. Hiring managers are also using Textio to screen the text they put on their companies' own websites and even the emails that recruiters send to potential candidates (e.g., “Hi, I saw your profile on LinkedIn. I’d love to connect about a job...”). Snyder said there are more than 25,000 potentially problematic phrases that, statistically, have been shown to bias the job listings -- either towards males or females. It’s fine to use masculine-skewed terms in a job listing, but it’s important to balance them out with words from the other side of the spectrum, said Mather, who holds a PhD in computer science and worked on cybersecurity issues at the National Security Agency and eBay. She launched her own security firm in 2008, and sold it several years later before starting Unitive. She and Snyder both said that none of these problematic terms will turn away a job hunter on their own, but once a few of them are sprinkled among the listing, employers may start to have a problem. It’s no secret that tech companies are facing down a huge female deficit. 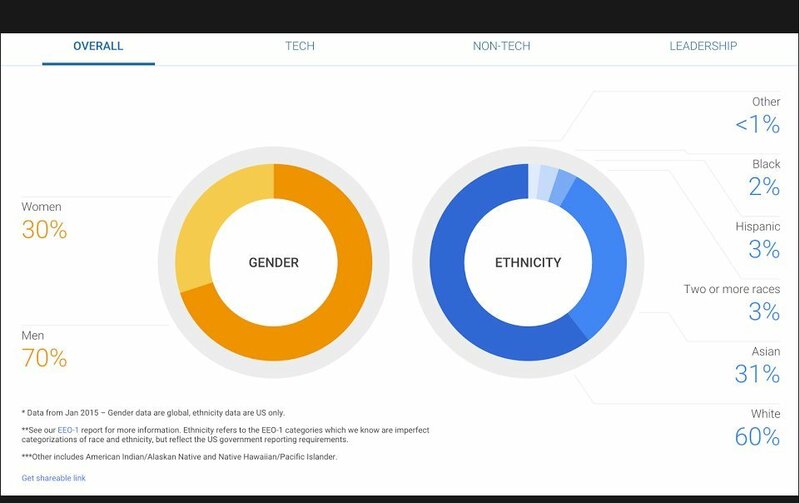 On Tuesday, Google released new diversity numbers revealing that men hold 70 percent of tech roles at the company. By contrast, the overall number of women in tech roles at Google rose by just 1 percent this year -- even after the company began a concerted effort to recruit more women. On the plus side, however, HuffPost ran a few of Google’s engineering jobs through Textio’s checker and didn’t find any that skewed male. Textio recently published a list of 10 tech companies that have gender-neutral job listings -- these included Netflix, Airbnb, Medium and Pandora. That doesn’t mean these companies have solved the problem, of course. Getting women to apply for jobs is just a start, Mather said. Her company’s software also promises to remove unconscious bias from the resume review process, by stripping out names and helping recruiters prioritize their needs. Unitive can also help with the interview process itself -- another trouble spot in which people unwittingly gravitate toward candidates that look like them. Solving gender diversity is a huge puzzle. Figuring out how all of the pieces fit together will take some time.